Anywhere you can connect to another nodes simply. Connect Xbee shield to Raspberry Pi and use ds18b20 sensor to log temperature information. Edit /boot/config.txt file with nano by running sudo nano /boot/config.txtand add dtoverlay=w1-gpio, save and exit. Edit /etc/modules file with nano by running sudo nano /etc/modulesand add following text, save and exit. As you can see from the picture below, the 4.7Kohm resistor required for 1-wire is not installed during electronic assembly. This pin can be used for other purposes or you may want to use it with another shield. We have not been assembled to avoid problems in these situations. If you only plug in a DS18B20 sensor without this resistor, a 4.7 kohm resistor is required. But on some breakout cards with 1-wire communication this resistance is already installed. It is not necessary for breakout. I have follow the different steps to run the final script. Have you an answer to this issue? Can you run ls /sys/bus/w1/devices/ and send us. I Think, your rpi don’t sens your i2c sensor. I get the same error and when I run the ls command above I get the following list. I am having the same issue reported above, specifically what do we need to try in this tutorial? Are we trying to prove 1-wire on the raspberry PI? This is a brand new install of the raspberry PI. Did you soldered a resistor for 1-wire communication? Hello, where Can I buy this products? 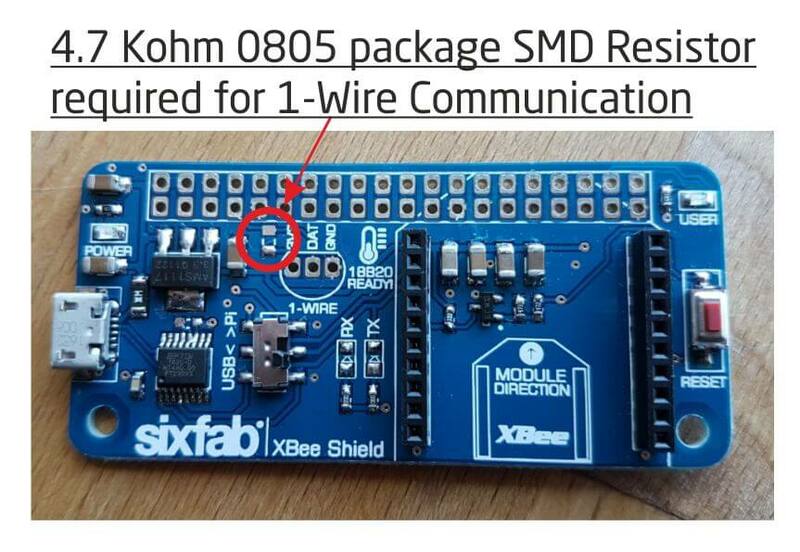 Your sensor (DS 18B20) is wired and you are connecting it like connecting with GPIO pins. What if we must use wireless sensors or lamps? Do you have a sensor recommendation to use and can you describe how to use with raspberry pi and Xbee?